Markin was born in western Russian in 1893. As a young man he had been employed in a Russian clothing factory and over a short period of time gained significant experience in manufacturing clothing. A hard worker and driven at a young age, Markin would eventually become a foreman of a trouser factory. Major changes were in store for Russia via a pending revolution, changes that Markin was not interested in participating in. Resisting the political climate, Markin would emigrated to the United States in 1913.
ultimately led him to start his own ready- made pants business. Upon the breakout of World War I, Markin was contracted by the US Army to produce uniforms for the force fighting in Europe. 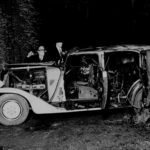 At wars end, Markin was sitting on a significant amount of money and was ready to invest in a number of Russian-owned businesses located in the Chicagoland area, one of which was Abe Lomberg’s Auto Body Company. 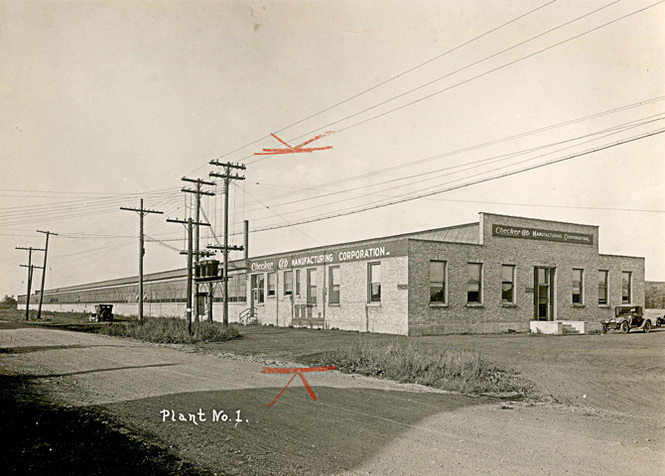 The Lomberg Auto Body Manufacturing Co. was founded by a Russian immigrant named Abe Lomberg. 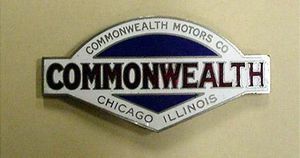 The primary business was to manufacture bodies for several local Chicago based auto manufacturers, including Commonwealth Motors Corp. 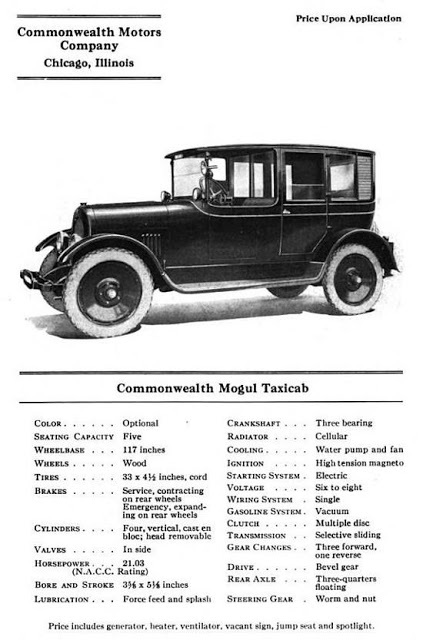 In order to fulfill the order for Mogul taxi cab bodies for Commonwealth, Lomberg was forced to seek funds for expansion. The funds were provided, in the form of a loan, by Morris Markin. fell far short of expectations and, by the end of 1920, Lomberg could no longer keep up with the payments resulting in Markin taking over Lomberg. 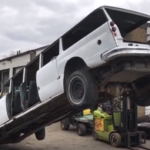 Markin’s largest customer was a financially floundering Commonwealth Motors. 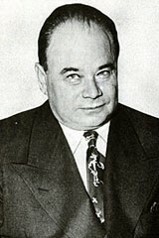 When Commonwealth again went into receivership, in order to protect his body business, Markin was able to take over the entire operation. 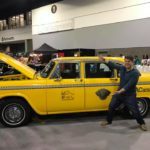 Once Markin had control of the company, he was able to take the new Checker Cab Manufacturing through a public stock offering which generated the funds required to grow the company and clean up the balance sheet of dept. 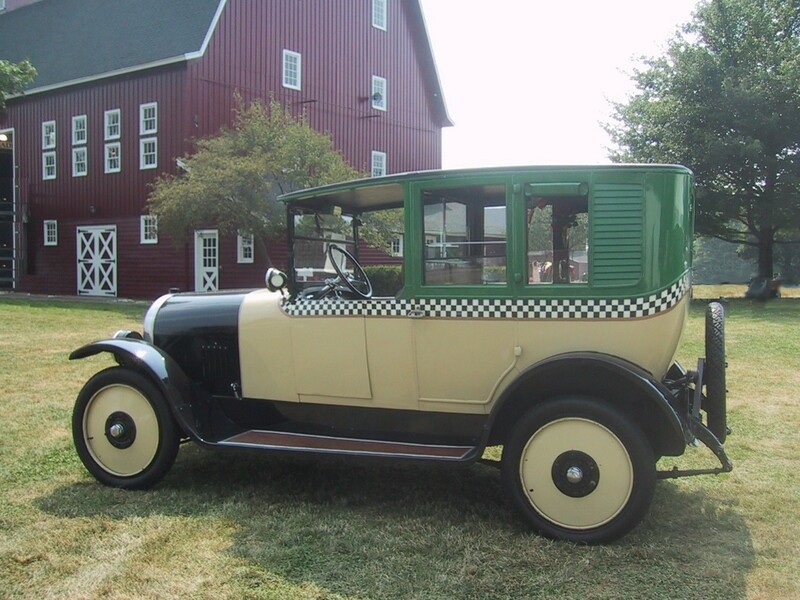 Once Markin put Checker Cab Manufacturing back on the course of solvency, it was time to get back to the business of making automobiles, or in the case of Checker, taxicabs. 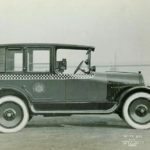 In 1922, Checker offered its first taxicab, the Model C. There is no doubt that this taxi is a carbon copy of the Commonwealth Mogul Taxicab introduced two years earlier. 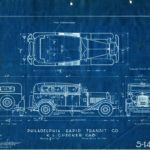 By 1922, the basis underpinnings of the Checker was still based on the Partin-Palmer foundation. 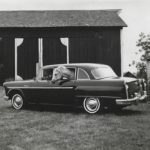 The Checker was essentially a Partin-Palmer Ultra-Four Model 38 powered by a Herschell-Spillman four cylinder engine, with a switch to a Buda engine later in the model run. 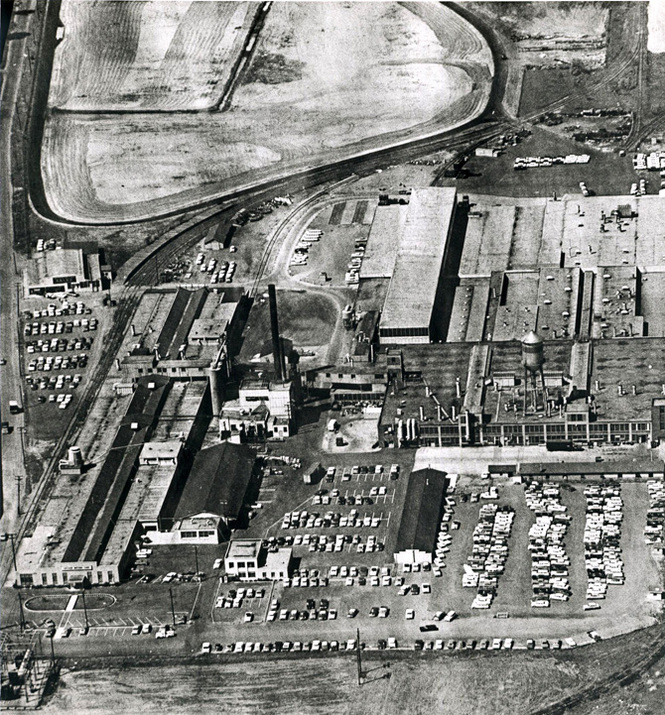 One of Markin’s first major moves was to consolidate manufacturing in Kalamazoo, Michigan. This allowed Markin to eventually take over all manufacturing responsibilities and further control his own destine. Millspaugh & Irish was a supplier and competitor for Checker. 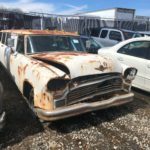 Based out of Indiana, Millspaugh & Irish furnished taxicab bodies to Barley, Checker Cab, Dodge, Kelsey, Pennant and Premier. The Millspaugh & Irish body was essentially the standard in the Taxicab industry. The bodies produced by Markin were virtually identical to the Millspaugh & Irish body. 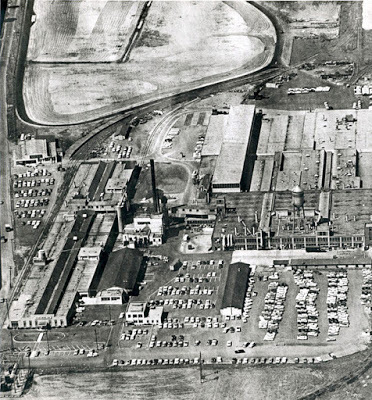 As his new Checker Cab Company expanded, Markin was able to purchase The Handley-Knight auto assembly plant and the Dort Automobile body assembly plant, both plants were located on Pitcher street. 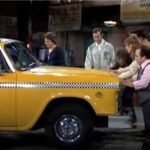 Checker could now own taxicab assembly end to end, meaning they no longer required sub assembly by outside third parties. 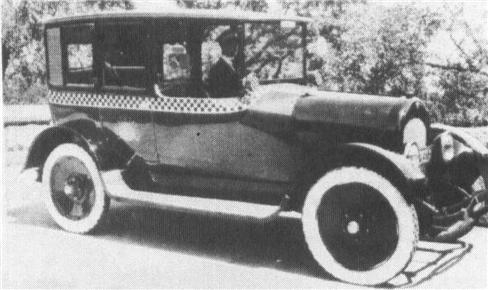 Markin was also able to bring on board Jim Stout and Leonard Goodspeed of Roamer/Barley, another Kalamazoo Taxicab manufacturer. Robert Gladfelter, of the Dort organization, became the plant manager for body assembly. Now Markin had full production capabilities and support of solid experienced manufacturing & engineering talent to grow the business. 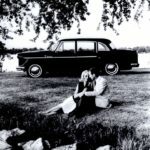 For the next four years, Checker would offer “new” models including the Model H and the Model E. Markin hype can be attributed to the word “new”, the Model H and E were still essentially based on the Commonwealth Mogul design and the only change was the model names. The Model H and E were both offered in two wheelbases, 117 and 127 inches with continued use of the Buda four cylinder engine. The most significant difference in design appears to be the larger chrome bumpers compared to the flimsy steel bumpers seen on the Model C.
A name change and a new corporation thus completing the transformation of the various small automobile companies that eventually created the world famous Checker. 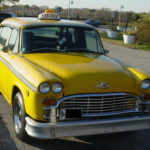 Checker successfully beat out all the purpose built taxi companies, as well as countless other independents. When looking at the period and knowing of the pending doom to be caused by the Wall Street crash of 1929, its truly astonishing the this little company was able to dodge bullets and survive another 80 years till closure in 2009. Mr. Markin was a great gentleman. He always had time for his employees. I was a newly hired foreman & he would stop and visit when in the trim shop. Every one looked up to Morris, which he liked to be called.